Luxury French cruise line Ponant captured some stunning video — by a drone, no less — of the expedition yacht Le Soleal while sailing in the Adriatic sea. And now the video will be shown during the first New York City Drone Film Festival, scheduled for March 7 at The Directors Guild of America Theater in NYC. The footage was shot by Freeway Drone, a French company that specializes in aerial filming, and features spectacular aerial footage of the turquoise seas, hidden coves, cliffs and waterfalls along the Dalmatian and Aegean coast. Founded in 1988 by Jean-Emmanuel Sauvée and a dozen merchant navy officers, Ponant operates four small cruise ships that fly the French flag. The company carries more than 20,000 guests annually. Revenue in 2013 topped €100 million. 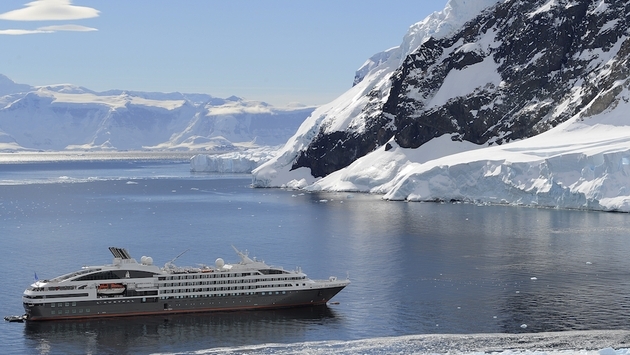 The fleet includes Le Ponant, a 64-guest three-masted sailing yacht. Three newer 226-guest ships — Le Boréal, L’Austral and Le Soléal — are capable of exploring the Arctic and Antarctic as well as destinations unreachable by large mega-ships. 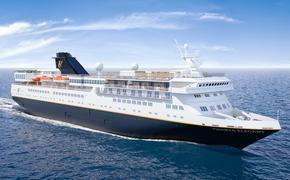 The company will welcome a fourth sister ship, Le Lyrial, in April. Freeway Drone uses unmanned aerial vehicles (UAVs) for its specialty aerial photography. The company has worked on major events such as the 100th Tour de France in 2013 and more.